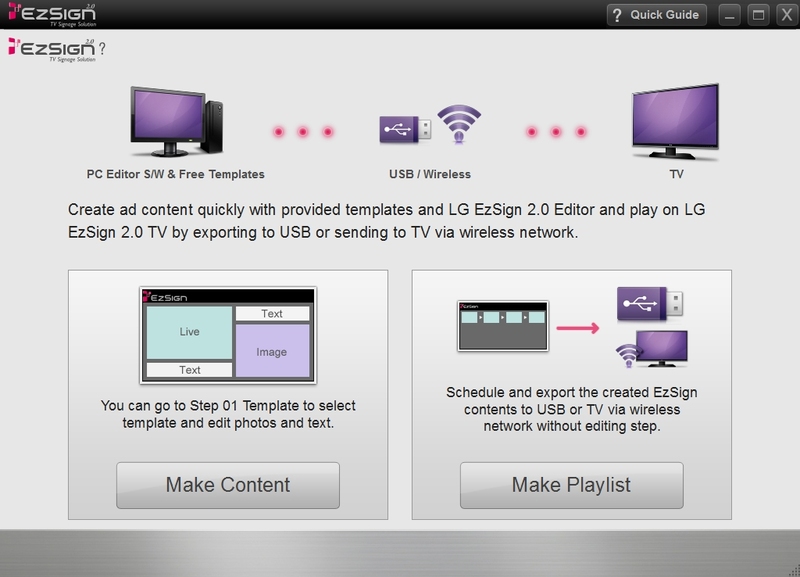 Make a Custom Template for your LG EZSign system. Well, there have certainly been a lot of Google searches for this subject! For all of you sign designers who really want more control over the look (background) image of your LG EZSign 2.0 Software template selections, read on! YES, you CAN create templates yourself. It is easy if you follow the tutorial outlined below, and start with one of the default templates in your LG EZSign Editor 2.0! As a sign designer, you already have all of the tools needed to execute this plan 🙂 And yes, if you want to make new templates to ADD to your collection for free, you can do that! 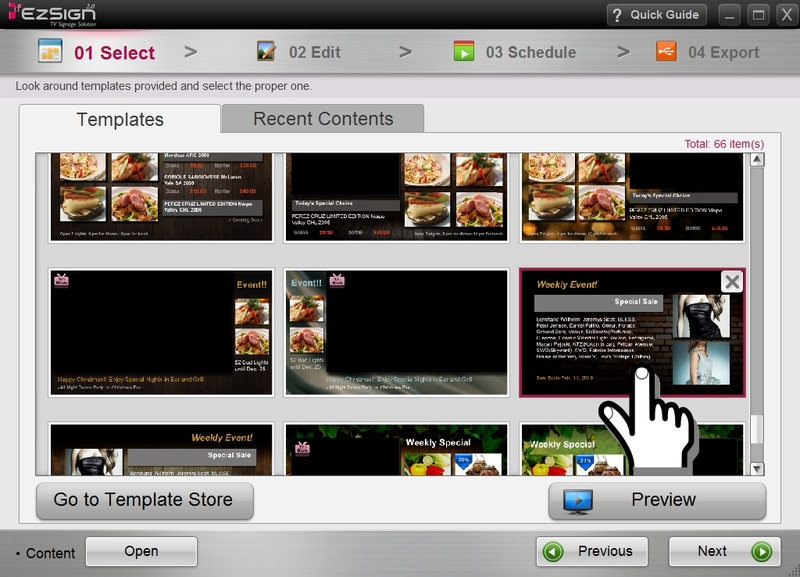 1) Open up your LG EZSign Program, and begin by selecting Make Content. 2) From the default templates that populate the next window, select a template based on the LAYOUT that you want. For my purposes, I am selecting a layout which does not include a large TV /Video zone. This one was for a dress shop, perhaps. 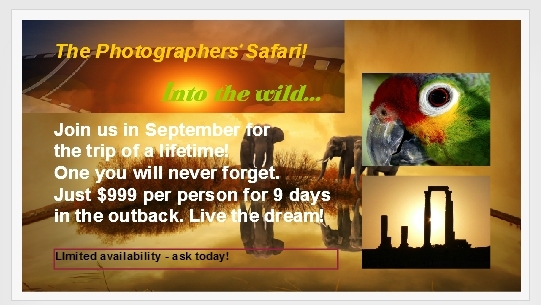 I am going to modify it to make it a travel theme for a photography safari. Once you select a template that has the zones you desire, click “Next”. This will show you the template and of course the text and images you can edit later. For now, we just want a project file we can safely change. So, on the next screen, click the “Save As” button. This will allow you to rename this file automatically, and save in the default folder assigned by the LG EZSign software. Make a note of this path- you will need it! Tip: Click any of the images in this blog to see a larger version. Next step: Browse to this “saved content” folder and open up the current background images (there are two) to view and note their size. You should see dimensions of 1366px wide by 768px high. Also note the placement of any “boxes” or color blocks that became the background for a portion of text. 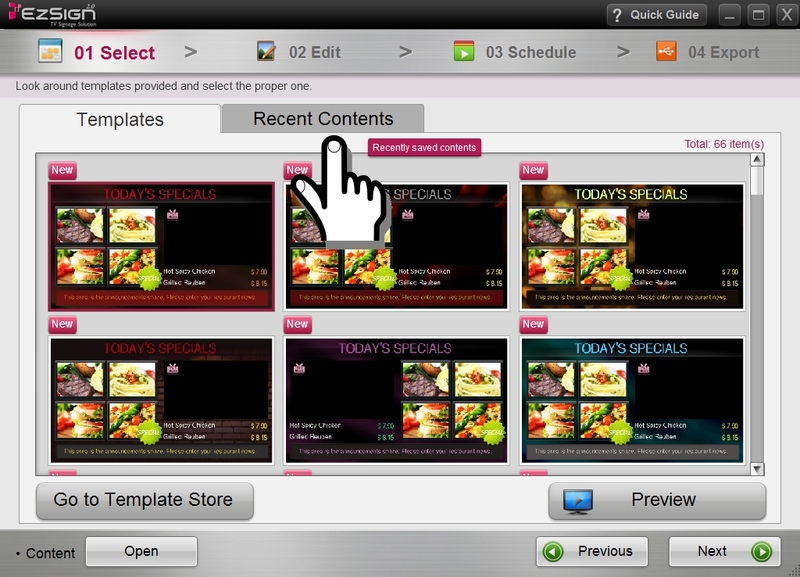 Some templates also have a transparent block or zone for the TV display feed or video. Note: There are always TWO background images for each template. This is because the screen will display the alternate background periodically to prevent “burn in” of the display. This is best practices! It also means you will likely want to modify TWO background images. I will show you one here. Create or select a new image you want to use for the template background. Here’s my image with the elephants, courtesy of Pixabay.com, and to the left is the original background. Save your new background with the same name as the old image, in the same folder. Basically, you have copied over the original, but don’t worry. The default template is still available in the library, as this folder is just your saved templates (duplicates with your edits). Open up your LG EZSign program again (it can be helpful to close when you have edited your content folder, to force the software to populate with the new images.) Click on “Recent Content” to find your new template. Click “Open” and select the template you named and saved at the start of this tutorial. Don’t worry when you see the original thumbnail there with the old default background. The file will automatically update with a new thumbnail after you preview the file. In many of these themes, there are two or more images that scroll or rotate through the playback of the sign. In my example, there are two image blocks, each of which features two images, for a total of four. Take a look and even replace the smaller jpg images that are part of the template. Those are simple to replace via the editor – just delete, click “+” plus sign to add a new image, browse to its location and insert. From Wikipedia: A millisecond (from milli- and second; abbreviation: ms) is a thousandth (1/1,000) of a second. 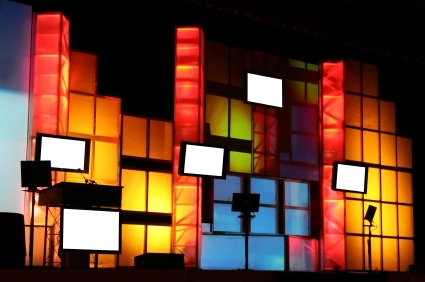 When we look at dynamic digital signage, it is vitally important that we know the standards when it comes to frames per second in the world of A/V. To create the illusion of motion, video (just as with film movies) consists of a series of images displayed in rapid succession. Each single image is referred to as a Frame. The number of frames displayed per second is the Frame Rate. Ranging from 24 Frames Per Second (FPS) to more than 60, each video rendering standard has a purpose and appropriate set of applications. This is a long subject for a later post. What is important to know is that the images on your digital display, especially those incorporating “motion” and transforming from one context to another, are relaying far more information than any set of words could ever reproduce. Why is this? It is closely linked to the nature of the left and right hemispheres of our brains. You might say that we have entered the Age of Dynamic Digital Signage. Each of us, you, me, our audience, all have the capacity to absorb untold millions of bits of information in one gulp, so to speak, via our Right Brain attributes, as we look at an image, a scene, or a face. The Left Brain, on the other hand – the younger, less primal brain – needs to immediatly judge and sort, pocketing bits of data and filing each into a mental file folder based on its qualities. This entire subject comprises the material of tomes, millions of pages of research devoted to the amazing conversation and unique languages of the left and right brains. All you need to know is that pictures really do convey a thousand words. 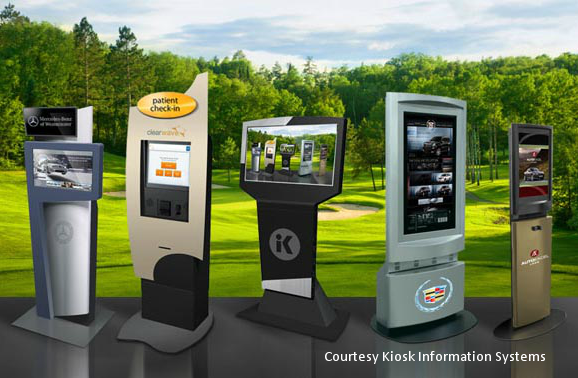 What a boon for digital signage! The medium that is best able to convey mood, feeling, subliminal connection, brand building, and appeal to the senses is electronic digital signage! Combine music, the engaging montage of images in support of a product message, and you are finally able to hold attention, lift sales and build your brand’s appeal. …“The era of ‘left brain’ dominance—and the Information Age it engendered —Is giving way to a new world in which ‘right brain’ qualities— inventiveness, empathy, meaning— will govern.” —Dan Pink, A Whole New Mind. Inventiveness… empathy… meaning. These are qualities that should be imbued within your digital content design. 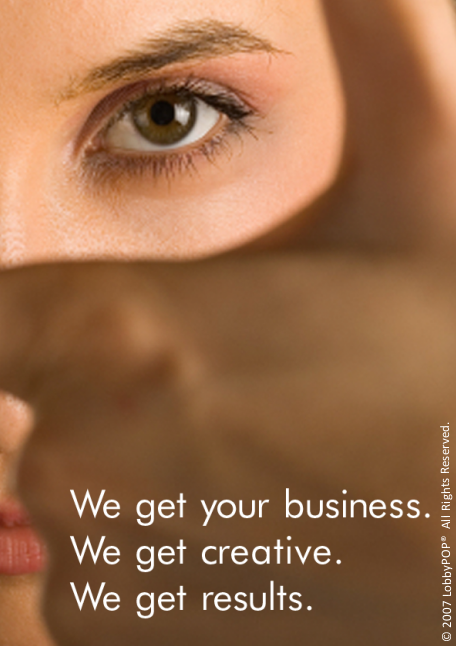 LobbyPOP is gifted with a talented team of dedicated and creative humans who use technology – audio and visual elements – to create powerful messaging that goes far beyond what digital print alone could ever achieve. You are invited to visit the LobbyPOP YouTube channel to experience some of the magic. Next post: How About Color, Contrast and Brightness? 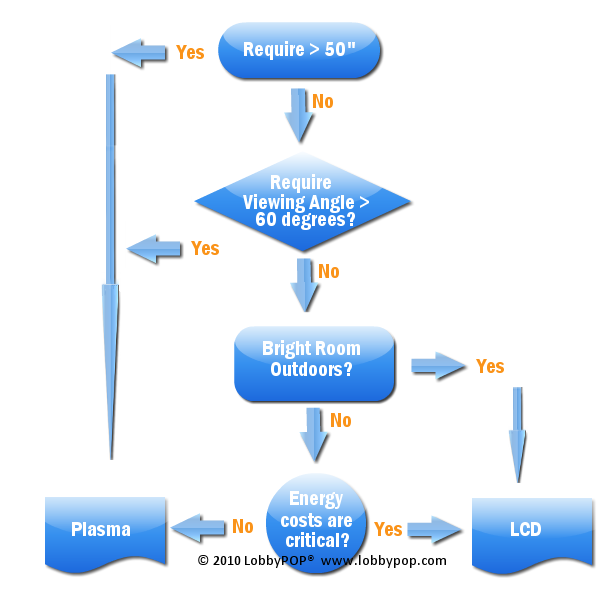 If you are following this series, you know we are talking about the science behind good sign design, and how this applies to digital sign content as well. In our first post, we reviewed content considerations as a whole. This brought us to Part 1, CLEVR acronym for Conspicuity, Legibility, Visibility and Readability. 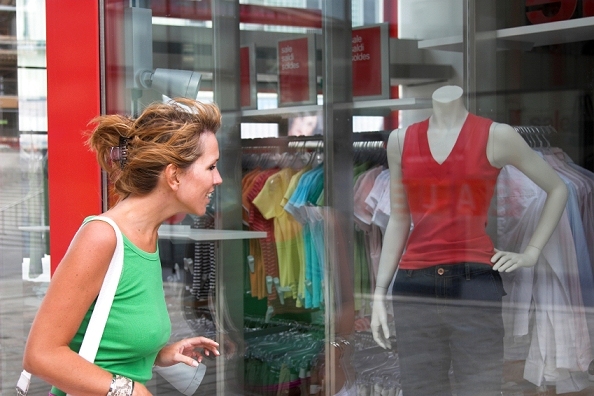 We reviewed Conspicuity and what it means in the application called Dynamic Signage. 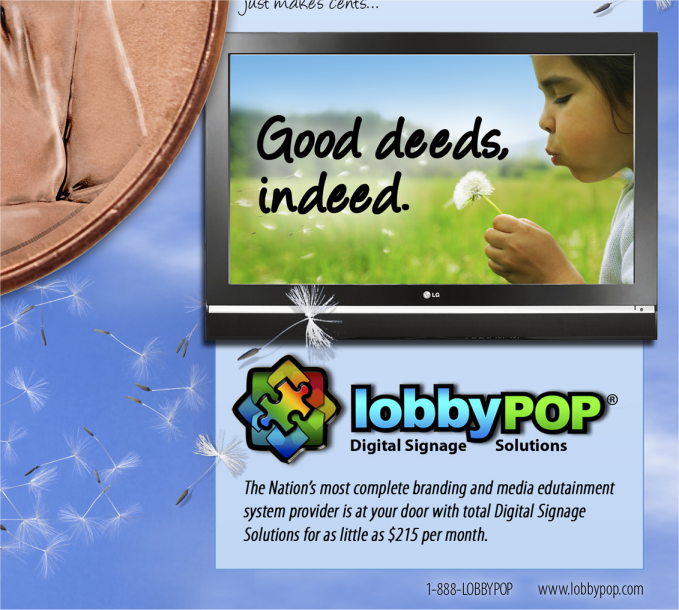 Part 2 discussed Legibility, and how this relates to dynamic content for digital sign systems. Visibility and a great tip for improved dynamic signage was presented in Part 3. If you haven’t read up on the premise, do so with the links above. And now, to complete the series, Readability is our subject today! A readable display allows people to quickly and accurately recognize and understand information, in particular, alphanumeric characters. The message should be clear and unambiguous. In traditional sign design, a few words to convey important information is all that is required. The same can be applied to dynamic signage. Again, these displays are not television. It is not a seated audience, for the most part, watching the screen with no other distractions. In an ideal world, there would be nothing but the screen. In reality, there is likely to be other signage, noise, people milling around, and multiple distractions. The dynamic display message, therefore, should be built much like static signage. This means the concept of readability takes on great importance. 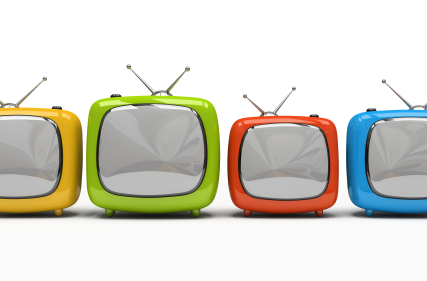 If you have only a few minutes to engage your viewer, you should make certain your message is readable – that the message is conveyed quickly and clearly. While we love our HD content, LobbyPOP always includes on-screen text and clear voice-over in bite-sized chunks to assure no part of the message is obscured or lost. Text is often white with a pin-line outline, to assure it shows clearly on any motion background. Dynamic Signage displays are alphanumeric displays, using letters and numbers, along with graphic images and sound, to convey messages. The contrast ratio for the characters is an important element in readabiliy and legibility. In their book, Human Factors in Simple and Complex Systems, Robert W. Proctor, Trisha Van Zandt explain that under optimal conditions, for black text on a white background, the font stock width-to-height ratio is ideally 1:6 to 1:8. For white characters on a black field, the optimal ratio is 1:8 to 1:10. Thinner lines for white on black images are required because of a phenomenon called radiation or sparkle. This is where the light color “bleeds” together due to the contrast -the eye’s reaction. Keeping the core message concise, and the entire message in a ten to fifteen second clip, is a good rule of thumb. This does not mean that a 30-second spot is not desirable. On the contrary, the core message can be emphasized and repeated in ways that assure readability and recognition. This is the heart of all advertising: Repetition. So whereas traditional static signs can be read several times over in the space of a few seconds, thereby assuring a point is communicated, a dynamic sign can enhance this and “force” repetition upon the viewer by repeating the same points in slightly different ways, with supporting information in concert, much like bullet points in a presentation. How many words? How much information per minute? We have validated that seven words or less for the core messaging, and up to eight supporting messages within a 60-second spot can be read and comprehended. So go forth and multiply your advertising! 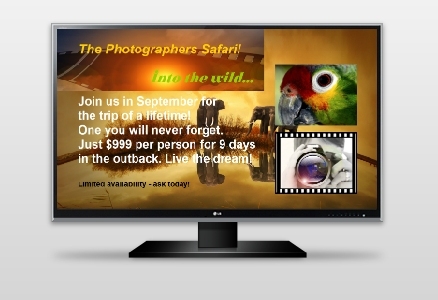 Next post: The Power of Imagery – why this is in the wheelhouse of dynamic digital signage!